It started simply enough. Guy Leach was leaving his apartment, walking down a flight of stairs when one of them collapsed causing him to tumble down the remaining steps. Leach, a member of the Air Force, thought he sprained his ankle. Instead his injuries resulted in permanently disabling him and ending his military career, reports The Oklahoman. Philadelphia slip and fall lawyer Rand Spear says something as simple as falling down a few steps can be life altering. Leach achieved a life-long dream after high school when he became an aircraft mechanic for the Air Force. That career lasted 18 years and was ended by the effects of an injury he suffered on the stairs of his Oklahoma apartment building in 2012. A step of the concrete stairs collapsed, causing him to fall down a few steps. He thought he just sprained an ankle but the injury ended up causing complex regional pain syndrome (CRPS) which affects the nervous system following an injury. Symptoms can include constant and severe pain, joint stiffness, swelling, discoloration, changes in skin temperature, muscle weakness and spasms. Leach has had various treatments, including physical therapy and more than a hundred nerve injections to block his pain. He told the newspaper the treatments are a temporary help because there is no cure for CRPS. The focus of his treatments is to manage pain that will never go away. Leach continued to be a part of the Air Force until 2015 when he was medically retired and honorably discharged. Leach has military health insurance and collects disability pay but can’t collect retirement benefits because he wasn’t in the Air Force for 20 years. Due to his condition and medications he’s not allowed to work on civilian aircraft. A year after his fall Leach sued the owner and manager of his apartment complex. In April after a jury trial in Oklahoma City Leach was awarded $12 million in damages ($6 million in actual damages and $6 million in punitive damages). The defendants are appealing the decision. Defendants offered $1.25 million to settle, Leach was willing to take $4 million. No settlement was reached and the case went to trial. The jury found the defendants acted in reckless disregard of the rights of others. Leach claimed the defendants were negligent by failing to maintain the exterior stairs Leach used, which resulted in the stair’s collapse and caused his injury. The judge in the case found defendants failed to preserve evidence concerning the inspection and repair of the property. Leach’s story is not uncommon. 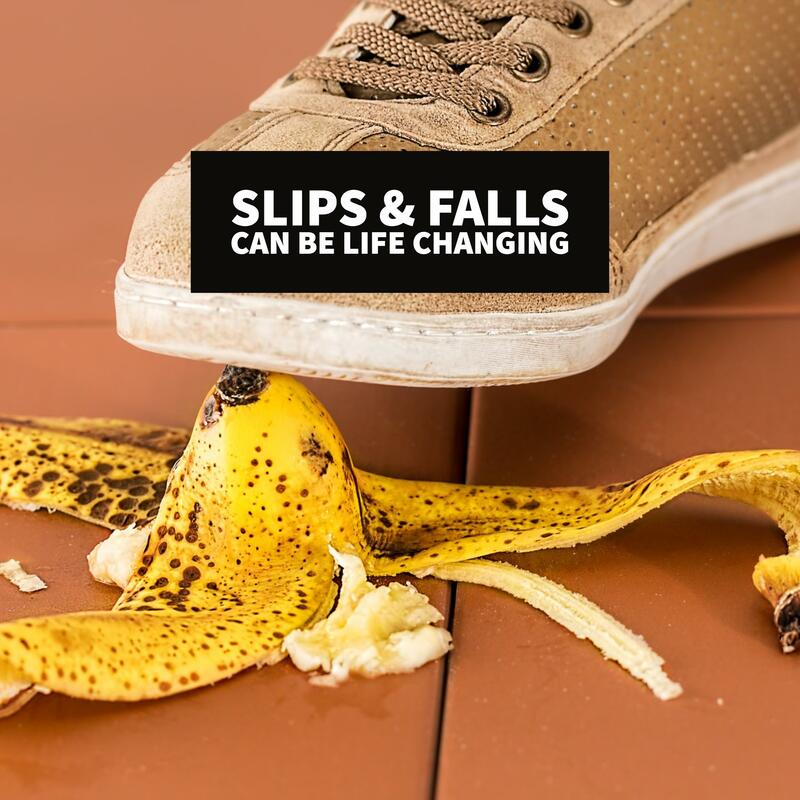 What may seem like a simple slip and fall can have a number of consequences and end up severely injuring the victim, possibly resulting in lifelong disabilities. If you or a loved one has been injured in a slip and fall, call Philadelphia and New Jersey slip and fall lawyer Rand Spear today at 877-GET-RAND.